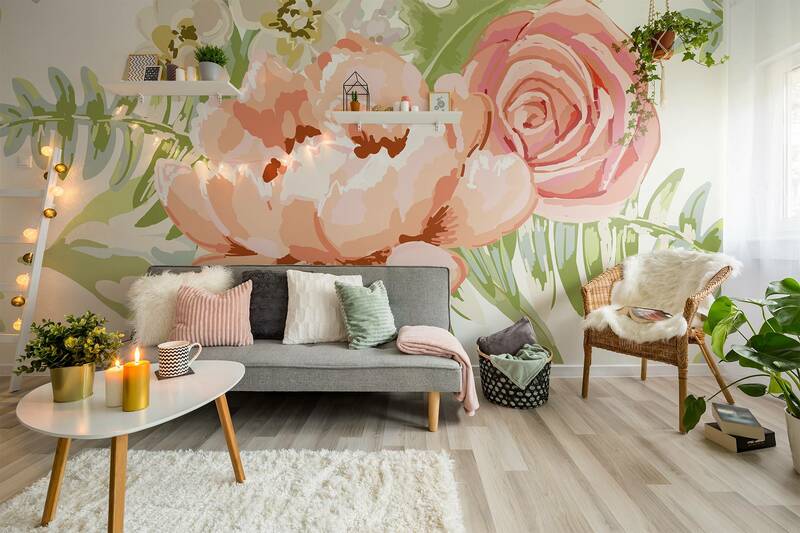 Vinyl Wall Mural Pale pink bouquets on the white background. Vector seamless pattern with delicate flowers. Peony, rose, lilac, gillyflower. Pastel colors. Hand drawn illustration.